Our plenary speakers are all leaders and experts in their field. As part of the plenary sessions, they will be considering the power that digital has had and will have, why we need to make the most of it, and how you can make the most of digital. If you're not attending in person, you can join Digifest online where you can watch plenary sessions and hear talks as they happen. Paul been Jisc's chief executive since October 2015. Before joining Jisc he was, most recently, an executive partner at Gartner UK - a technology research and advisory firm. He spent over 20 years in financial services at Nationwide Building Society, Barclays Bank and First Data EMEA, both in IT and business roles. He has also worked in knowledge-based IT companies including Thomson Reuters Legal UK and the Intellectual Property Office. Paul will be chairing our plenary session about the power of digital for change on day one of Digifest, 9:30-10:45, and our plenary session about the power of data on day two of Digifest, 13:30-14:30, where he will also be speaking. See programme. 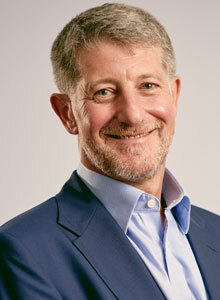 David Maguire was appointed chair of Jisc in May 2015. 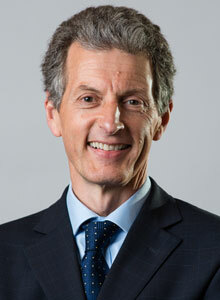 David is vice-chancellor of the University of Greenwich and has been in post since 1 October 2011. Prior to Greenwich he had a successful track record of senior leadership in the private sector and higher education both in the US and the UK. As well as being vice-chancellor at the University of Greenwich, David is a member of several other boards, including Health Education Kent, Surrey and Sussex – NHS governing body, the Higher Education Policy Institute (HEPI), London Higher, and the Universities UK Treasurer’s Committee. 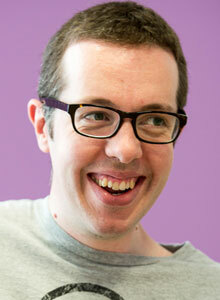 David holds a doctorate from the University of Bristol and a BSc from the University of Exeter. He is an acknowledged expert in computer mapping and geographic information systems. He has published seven books and over 100 scientific and technical publications. David is speaking on day one of Digifest, 9:30-10:45, during our plenary session about the power of digital for change. See programme. Read Andrew's article on eight inspirational learning spaces. Andrew is the director of Spaces That Work Ltd, an independent consultancy specialising in learning environments, which he established in early 2011. He has also led many learning-related research and consulting projects, exploring the impacts of technology and pedagogy change on school and higher education institution design. His book on future learning environments ‘Design for the Changing educational landscape: space, place and the future of learning’ (with Les Hutton) was published by Routledge in 2014. In 2015 Andrew was appointed as professor of practice at the University of Wales Trinity Saint David to work with the university on learning space design and research in parallel with the development of their new Swansea SA1 campus. Andrew is speaking on day one of Digifest, 9:30-10:45, during our plenary session about the power of digital for change. See programme. Read Donna's feature exploring four provocations, including the death of the digital native. Donna Lanclos is an anthropologist working with ethnographic methods and analysis to inform and change policy in higher education. In particular, in and around libraries, learning spaces, and teaching and learning practices. 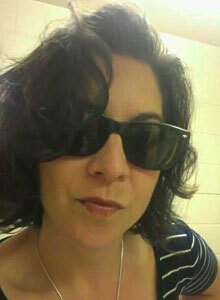 She is associate professor for anthropological research at the J. Murrey Atkins Library at UNC Charlotte. Find her on Twitter @DonnaLanclos, or blogging at donnalanclos.com. Donna is speaking on day one of Digifest, 9:30-10:45, during our plenary session about the power of digital for change. See programme. 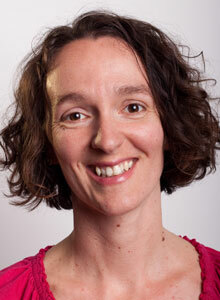 Sarah is Jisc's head of change implementation support - education/student. 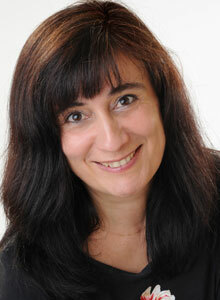 She leads on Jisc’s research and development work to enhance the digital student experience. She has managed significant change and research and development programmes in a number of areas, including digital literacies, learning environments, and regional partnerships for learning. She is also working in a consultancy role with universities and colleges to offer tailored support to help them meet their strategic aims with technology-supported learning. Sarah will be chairing our plenary session about the power of digital for teaching and learning, where she will be leading a panel discussion, on day two of Digifest, 9:00-10:00. See programme. Read John Traxler's article: what killed the mobile learning dream? From 2009, John Traxler was the world's first professor of mobile learning. 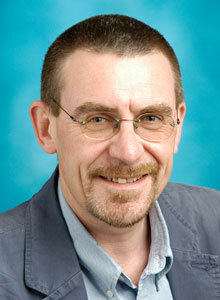 He is currently professor of digital learning in the institute of education at the University of Wolverhampton. He is one of the pioneers of mobile learning and has been associated with mobile learning projects since 2001. He is a founding director and current vice-president of the International Association for Mobile Learning, responsible for the annual international mLearn research conference running since 2002. He is co-editor of the definitive book, Mobile Learning: A Handbook for Educators and Trainers, and Mobile Learning: the Next Generation with Professor Agnes Kukulska-Hulme. He is also co-author of Mobilizing Mathematics: Case Studies of Mobile Learning being used in mathematics education and Mobile Learning and STEM: Case Studies in Practice. He has been responsible for large-scale mobile learning implementations small-scale mobile learning research interventions, major evaluations and landscape reviews. He currently works on a large EU project exploring digital learning for CPD in rural areas and is expert reviewer for EU FP7 projects. John is speaking on day two of Digifest, 9:00-10:00, during our plenary session about the power of digital for learning and teaching. See programme. Read our Q&A with Chrissi where she discusses the rise of playful learning in higher education. Chrissi Nerantzi is a principal lecturer in academic CPD at the centre for excellence in learning and teaching at Manchester Metropolitan University. She teaches on the masters in higher education, supports colleagues and teams in curriculum design and review activities, leads the FLEX CPD initiative and the Good Practice Exchange. She has also initiated and led, with colleagues from her own and other institutions, innovative cross-institutional academic development initiatives. These foster open, social and creative learning through inquiry and experimentation. Examples include the webinar series Teaching and Learning Conversations (TLC), the open courses Bring Your Own Devices for Learning (@BYOD4L) and Creativity for Learning in Higher Education (#creativeHE), and the Learning and Teaching in Higher Education tweetchat (@LTHEchat). Recent co-edited publications include Using Social Media in the Social Age of Learning and Exploring Play in Higher Education. Chrissi is currently undertaking research at doctoral level in the area of open cross-institutional academic development. She is a national teaching fellow and has been named one of the 50 most influential UK higher education social media influencers by Jisc. To find out more about Chrissi, see her LinkedIn profile or read her personal blog. Chrissi is speaking on day two of Digifest, 9:00-10:00, during our plenary session about the power of digital for learning and teaching. See programme. Heather graduated in biological sciences from the University of East Anglia where, amongst other scientific talents, she also honed the art of coding in Fortran on mainframe computers. She undertook postgraduate research at the University of Oxford, before completing her postgraduate certificate in education at the University of Bath. Heather’s career embraced the teaching of sciences at Level 3 to Level 7 in a variety of educational settings, policy formulation in local authorities and educational management. 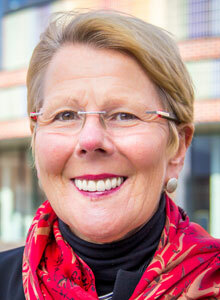 She has been a principal and CEO for over 17 years and is currently enjoying this position at Loughborough College. Heather is passionate about the benefits of technologies in enhancing learning. She was a trustee at Jisc for five years and completed her term of office last year. Heather is speaking on day two of Digifest, 9:00-10:00, during our plenary session about the power of digital for learning and teaching. See programme. 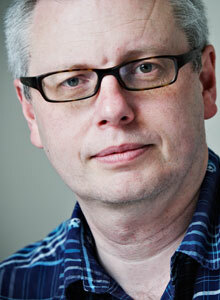 Ian Dolphin has 25 years experience of the development and deployment of ICT systems supporting education. He is the former head of e-strategy at the University of Hull and has broad experience of ICT governance, software, and infrastructure development in the UK and internationally. At Hull, Ian directed several nationally and internationally significant European Union and Jisc-funded projects. These included work in the production, storage and retrieval of interactive learning resources, surfacing library resources on learning environments, and the development of environments to support research collaboration. Ian directed the international e-research tools and resources interoperability consortium, which supported for the first two phases of the Jisc virtual research environment programme. Most recently, he was instrumental in the consolidation of Jasig and Sakai, two non-profit entities engaged in the development of open source software to support education and research, into the Apereo Foundation. Apereo is a multi project non-profit entity with a membership of higher education institutions on four continents. 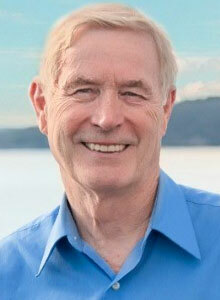 Ian currently serves as its executive director. Ian is speaking on day two of Digifest, 9:00-10:00, during our plenary session about the power of digital for learning and teaching. See programme. Euan Adie is the founder of Altmetric, a London based company providing article level metrics to publishers, funders and institutions. Before that he was a senior product manager at Nature Publishing Group (NPG) where he looked after products ranging from an online reference manager to NPG's mobile apps. Originally a computational biologist, between 2005 and 2009 Euan ran postgenomic.com, which aggregated blog posts written by life scientists about published scholarly articles. Euan is speaking on day two of Digifest, 13:30-14:30, during our plenary session about the power of data. See programme. "We're overwhelmed with data" - read our interview with Tony Hey. Tony Hey began his career as a theoretical physicist with a doctorate in particle physics from the University of Oxford in the UK. 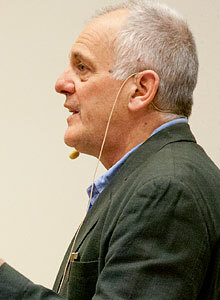 After a career in physics that included research positions at Caltech and CERN, and a professorship at the University of Southampton in England, he became interested in parallel computing and moved into computer science. In the 1980’s he was one of the pioneers of distributed memory message-passing computing and co-wrote the first draft of the successful MPI message-passing standard. He joined Microsoft in 2005 as a vice president and was responsible for Microsoft’s global university research engagements. He worked with Jim Gray and his multidisciplinary eScience research group and edited a tribute to Jim called ‘The Fourth Paradigm: Data-Intensive Scientific Discovery.’ Hey left Microsoft in 2014 and spent a year as a senior data science fellow at the eScience Institute at the University of Washington. He returned to the UK in November 2015 and is now chief data scientist at the Science and Technology Facilities Council. Tony is speaking on day two of Digifest, 13:30-14:30, during our plenary session about the power of data. See programme.